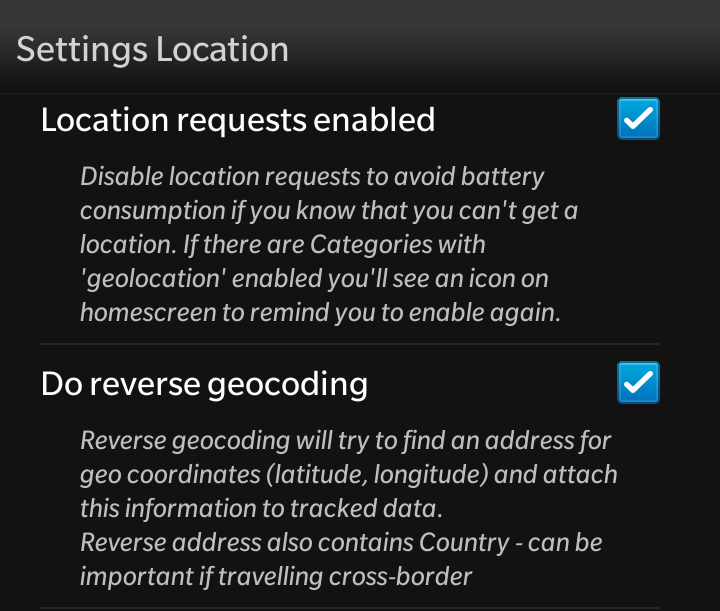 If you need GPS Coordinates for tracked times you must check the ‘Location requests enabled’ checkbox. Hint: Only check this if really needed. Perhaps you can get the addresses from your Server easier and without draining your phone’s battery. 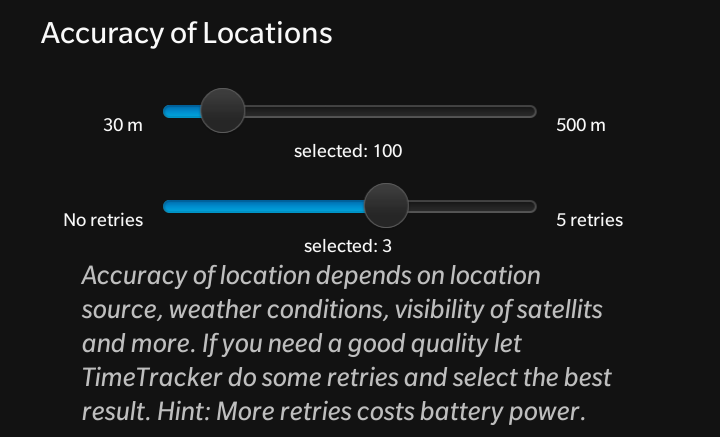 TimeTracker only added this feature to get the Country from the tracked address and to be able to recognize if borders are crossed. Also you can configure what shoulkd happened in case ot Timeout. Posted on 2014/07/11 2014/07/20 by ekkescorner	This entry was posted in Settings Details. Bookmark the permalink.